It's a big boat. And heavy. If you slalom, you would be dissapointed. Just recreational skier, should be ok. Even at 30mph, there is a bit of a wake, but it's not horribly big. The Diamond Hull is definitely better at that speed. Northern, Give Greg a call at Teskey AVU in Rocky. He is a course skiier and just bought a 23 LSV with the diamond hull. He was very surprised to see how good the wake was over 32 mph. I know you said 30, but he can give you a few ideas. Been crazy with work and kids. To many responsibilities. Time to play more and work less. I don't know exactly what speed this is, but this is the wake from a 2014 23LSV with the Diamond hull. Thanks for the pic. Wake looks really good. Guess I better go for the diamond hull. Northern. I am not sure of the underwater changes to the hull but I have recently bought an 08 23lsv on the wake hull and are amazed at how good the wake hull is for slalom skiing above 32m. I ski at 36 and I am more than happy with the wake. I don't find it much different to my mates 09 vtx on a diamond hull at speeds above 32. Good luck in your search, I bought it for wake boarding and airchair, but am amazed at how versatile it is. 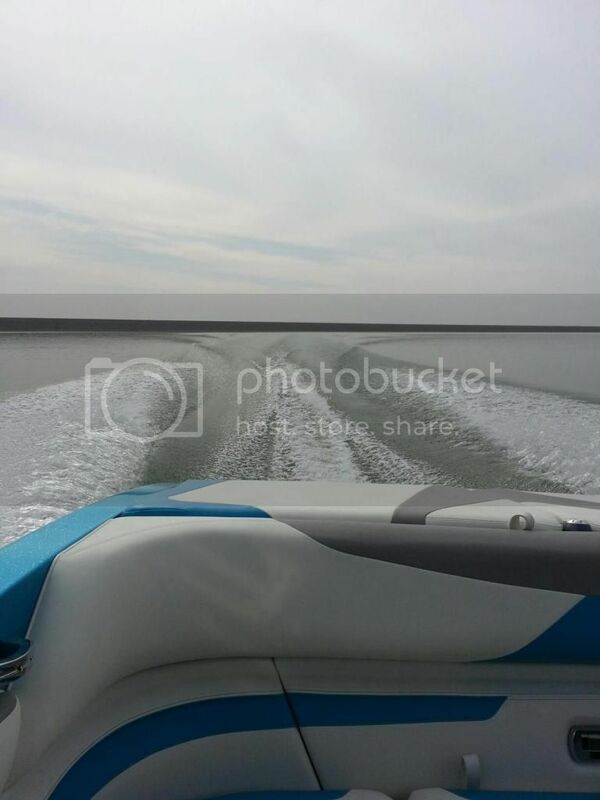 I like my ski wake on the VLX 2011 diamond hull, all stock at 34 mph. That LSV wake is impressive !